Six men have been jailed for a total of more than 26 years following an investigation into drugs supply in north Hampshire. The six men admitted their part in a drugs syndicate that supplied heroin and crack cocaine to users in towns including Basingstoke. The court heard that the conspiracy concerned the activity of the AJ syndicate between June 14, 2016 and October 22 last year. Members of the London-based syndicate were arrested in Hampshire and London at various points during this period by Hampshire Constabulary officers, the court was told. The men were sentenced at Winchester Crown Court on Tuesday 19 June, having pleaded guilty at a previous hearing. Saracen Townsend, 25, of Hawkes Road, Mitcham, Surrey, was sentenced for six years’ imprisonment for two counts of conspiracy to supply Class A drugs. Jamar Parris, 21, of Langroyd Road, London, was sentenced to four years and four months’ imprisonment for two counts of conspiracy to supply Class A drugs. Ridwan Abdi, 19, of Aldridge Road, London, was sentenced to a total of five years’ imprisonment for two counts of conspiracy to supply Class A drugs, conspiracy to supply a Class B drug and offering to supply a Class A drug. Nathan Molema, 19, of Rock Close, London, was jailed for three years and one month for two counts of conspiracy to supply a Class A drug. Isiah Payne, 18, of no fixed abode, was jailed for a total of four years and eight months for two counts of conspiracy to supply a Class A drug, obstructing a railway and assault occasioning grievous bodily harm. Elijah Gordon, 21, of Old Lodge Lane, Croydon, Surrey, was sentenced to 3 years and 3 months’ imprisonment for being concerned in the supply of a Class A drug and possession of an offensive weapon. Detective Constable Andy Young said: “This was a complex investigation that focused on members of a London-based syndicate. 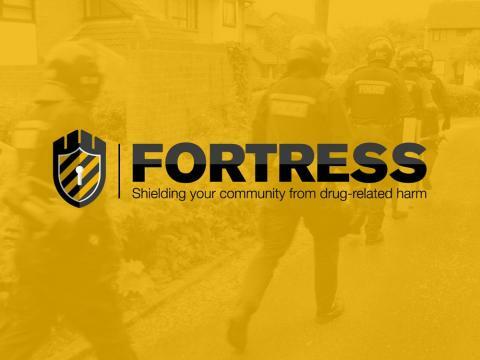 “Some of those involved would travel to north Hampshire to deal heroin and crack cocaine, often to vulnerable people who were dependent on these substances. “The sentence hearing shows that we are committed to identifying and tackling those groups that bring so much harm to our towns and cities.